Quarch Technology is a leading supplier of automated testing tools to the data storage industry. Our customers include all of the Tier 1 storage vendors and many of the biggest names across the rest of the industry. With our proven technology and understanding of the storage industry, Quarch create systems that are an essential part of any comprehensive test plan. Silicon designers, drive manufacturers, RAID developers and system integrators all rely on Quarch products for their automated testing. Quarch ‘breaker’ modules are the industry standard for hot-swap automation. The NVMe Consortium Plugfest events mandate the use of Quarch modules as part of their compliance testing. All forms of storage devices require careful power testing. This is even more critical for the latest NVMe drives, where ultra-low power sleep states are required to maintain battery life. SSDs also introduce new risks of data loss on power. Quarch power modules allow you to measure power very easily with no complex setup, and at a low price point. Debugging hot-swap failures is complex, time consuming and expensive. Save time and money – use Quarch modules to fully automate your testing. 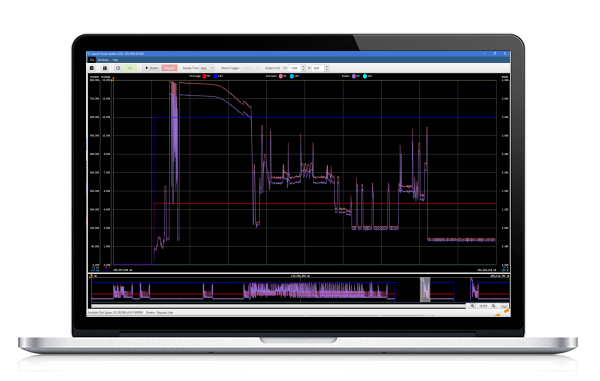 Test the latest technologies with our new tools for automating hot-swap of external PCIe cables and GEN4 devices. M.2 devices, especially the newer PCIe drives, are increasingly important in the data storage industry. Originally mostly used in laptops, where size was critical, M.2 devices are now being used in enterprise-class storage arrays. See how Quarch can help with M.2 device testing and fault injection. Testing storage systems costs a huge amount of time and money. The Torridon System is a simple, modular solution to speed up and improve your existing test systems. USB devices are both very common and very varied. Ensuring that your USB host system is capable of working with all devices in all cases can be very costly. Quarch can help, with our line of specialist USB modules, ideal for automating and improving your existing tests.